There are many benefits to allowing your children to play sports. They learn discipline, perseverance, how to work as part of a team and how to become leaders. Along with these benefits come serious risks and it is important that you know how best to reduce the chances your child will suffer long term consequences from a sports injury. While prevention is the most effective means of addressing this issue, it is impossible to prevent all sports injuries, so you need to be able to know how to reduce the severity of those injuries that are inevitable and how to respond when your child has been hurt. Over 38 million children are enrolled in sports programs every year, and almost 3.5 million children under fifteen years of age will receive medical treatment for an injury suffered while practicing or playing. While many parents believe that their children are most at risk during games, the reality is that children suffer more injuries during practice than when they are performing in a game. It is for this reason, children need to learn safe practices while on the field. While sprains are the most common injury reported among young athletes, traumatic brain injuries are the cause of the most casualties. For a long time, we did not fully understand the impact of repeated blows to the head on the function of the brain, but recent discoveries have brought the topics of concussions and chronic traumatic encephalopathy to the forefront. There are a number of things that you can do to make sure your child has the best chance of avoiding serious injury during practice and play. Regular physical examinations are key to making sure that your child is physically fit to play and may reveal any problems that may increase the risk of an injury. 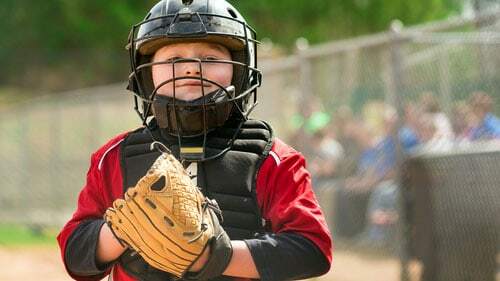 In addition, you should make sure that your child is equipped with adequate safety equipment such as pads, a helmet and other equipment specific to his or her sport. Keeping children hydrated during physical activity is also key, as dehydration can be the cause of a number of sports injuries. Poor form is often attributed to the cause of many injuries, so it is important that children are taught how to make contact with other players while avoiding head to head contact or lowering their head into the hit. This kind of contact may result in concussions or traumatic injuries to the brain or spine. CTE is a disease discovered among retired athletes that endured regular blows to the head over their careers. Research has found that amateur athletes can also suffer from this condition, which can result in the gradual loss of neurological function. There are four stages that an athlete may progress through when he or she suffers from CTE. The first stage may result from one of more concussions and carries with it many of the common concussion symptoms— headache, dizziness, confusion and mild memory loss. The second stage is exhibited through changes in the person’s behavior and social interactions. It is common for sufferers of CTE to show poor decision making skills, to experience mood swings and to suffer from memory loss. The third and fourth stages of CTE result in the loss of motor function, speech impairment, deafness, vertigo, dementia and mental illnesses such as depression, mania or anxiety. The sports that place children at greatest risk of CTE are those where players make direct physical contact, such as football, hockey, boxing and wrestling. If your child suffers one or more concussions, it is important to have a discussion with your doctor on whether it is safe for him or her to continue playing contact sports. A number of the injuries children suffer while playing sports can be linked to the very practices their coaches teach. It is important that you know what it is that your child’s coach teaches and whether or not coaching staff is properly trained in first aid, CPR and sports safety. There is also a fine line between developing endurance and pushing children too far, so you should consider whether your child’s coach knows when it is appropriate to provide players with the rest that they need during practice and games. For more helpful information on sports safety, you can refer to the following resources.